After weeks of teasing its Formula 1 themed Angry Birds game, Rovio has given the green light to its Angry Birds Heikki webgame, giving racing fans a chance to play twelve ‘tracks’ (or levels). Gamers can visit heikki.angrybirds.com, where they will be asked to register to play. Once this has been done, gamers will be offered a new level corresponding with the track that teams will be racing next — in this case it will be the British Grand Prix, which is located at the Silverstone racing track. Once the British Grand Prix has passed, the next track will be unlocked (and so on). The game is dedicated to Finnish F1 driver Heikki Kovalainen following Rovio’s sponsorship of the driver. 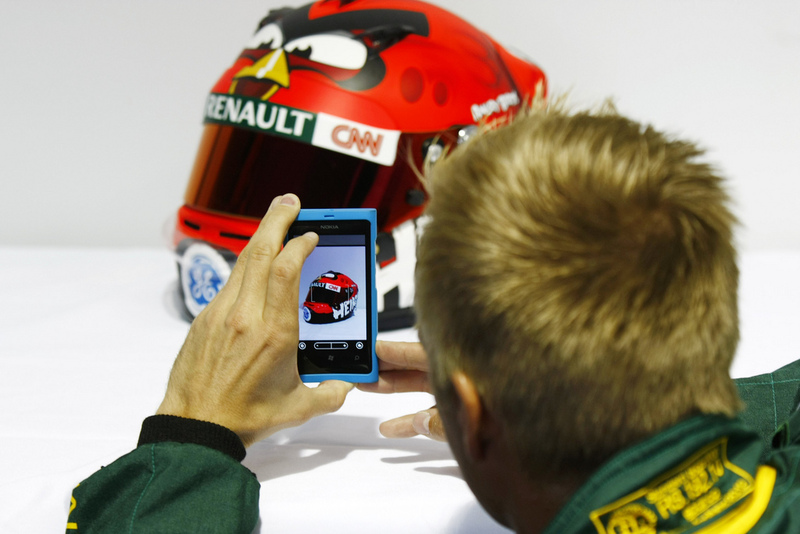 Kovalainen already sports a special Angry Birds-themed racing helmet and Rovio has begun offering limited edition merchandise (which consists of three hats) on its website. The minigame differentiates itself by offering special Heikki powerups — called Heikki Power — which can be used to help maximise a player’s score. However, the unique tie-in requires gamers to visit Kovalainen’s official Facebook fan page to obtain a special code. With an additional social layer, Rovio is creating a unique branding opportunity for the F1 driver, sending racing fans to his Facebook page to increase interaction. Is it the future of Angry Birds? Absolutely. Rovio can partner with a near endless list of brands and companies to create unique themed minigames that boost not only their profile but their social presence. It remains to be seen if the company will develop this into something we will see more often in the future. Rovio’s latest game in the Angry Birds range has already topped 100 million downloads on all platforms in 76 days, driving total cumulative downloads for the entire franchise past the 1 billion mark.